When you visit a Disney Park, you often interface with dozens of Cast Members, if not even more. The reason why I call employees of the Walt Disney Company Cast Members is that all of these people are working “on stage”. As such Walt Disney said that every one of these people is a Cast Member, as they are working on stage. The term Cast Member (or CM) applies to everybody. Everyone of these CMs is working hard to make magic happen for you. While we don’t always feel like it, a lot happens to make sure that your day at the park is as enjoyable as possible. Or, and this happens as well, they will help you with something bad that happened while you were at the parks, and still make sure you leave with a smile, or a good feeling. Sometimes you feel like a Cast Member went above and beyond to make your time at the park even more magical. At that point it could be appropriate to let the Disney management know that this person has done a good job. In Disney Park terminology this is called a Cast Compliment. When we visit Disney Parks, we keep track of the names of CMs who gave us a magical experience in Google Keep (or Evernote). In this way, when we do leave a compliment, we can easily remember the names. The CMs at Disneyland Resort are present on Twitter and as such, you can send a Cast Compliment as a tweet. Although twitter only has a limited amount of characters, it is still good to provide as much details as possible. Send a tweet to @DisneylandToday, mention the name, where they work(ed), what time and of course, what they did to make your visit even more magical. Also add the hashtag #castcompliment. When you are lucky, you might see a photo of the Cast Member holding your compliment a few days later. We are so happy to hear that, Ryan! We will be glad to share your #CastCompliment with Michelle, Bianca, and their leadership team! For guests not using using Twitter, there is also an option to send in an email. This also gives you some more space to write about the experience you had with this Cast Member. You can send an email via this form. 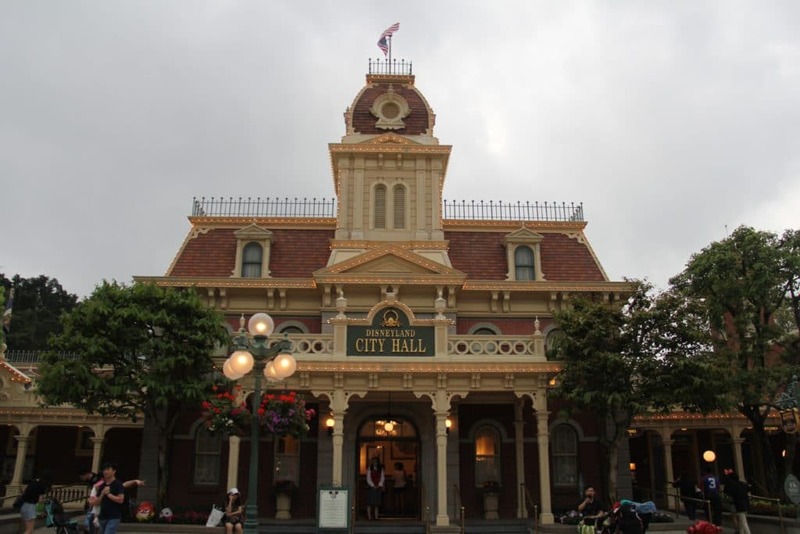 The last method (and we prefer this one) is to go to Guest Relations (at City Hall or Chamber of Commerce) when you are at the park. When you are there, ask for a Cast Compliment form, and you will be provided with one (as well as with a pen). There you can fill in the form and at the same time have a nice conversation with one of the Guest Relation. This is what we do, and in the end we always end up adding the name of that specific Cast Member to our list for next time. Just like Disneyland Resort, the CMs at Walt Disney World Resort are available online. Hop on over to Twitter and tweet at @wdwtoday, using the hashtag castcompliment. Same as at Disneyland, you might a tweet back with a photo of the CM, holding your compliment. To make sure the right CM gets the compliment, be as complete as possible. Walt Disney World also offers the ability for you to send an email. You can use this form for it. The form allows you to add some more detail as you have space to write. And of course, City Hall or any Guests Relations office will offer you a Cast Compliment form so you can write down your compliment. With that many parks at Walt Disney World Resort, you might want to keep track of the CMs you want to thank. At Tokyo Disney Resort they are not as connected as WDW or DLR, but you can still give compliments to Cast Members. You can do this either in person at the Guest Services window just outside of the World Bazaar (it is on the left when you walk through the turnstiles) at Tokyo Disneyland or at the Guest Services window at the DisneySea Plaza (also just after the turnstiles) when you are at Tokyo DisneySea. Even though the main language at Tokyo Disney Resort is Japanese, a lot of Cast Members are fluent in English and if not, they will make sure there is a Cast Member that can talk to you when needed. The language barrier should not stop you from leaving a comment about a CM. 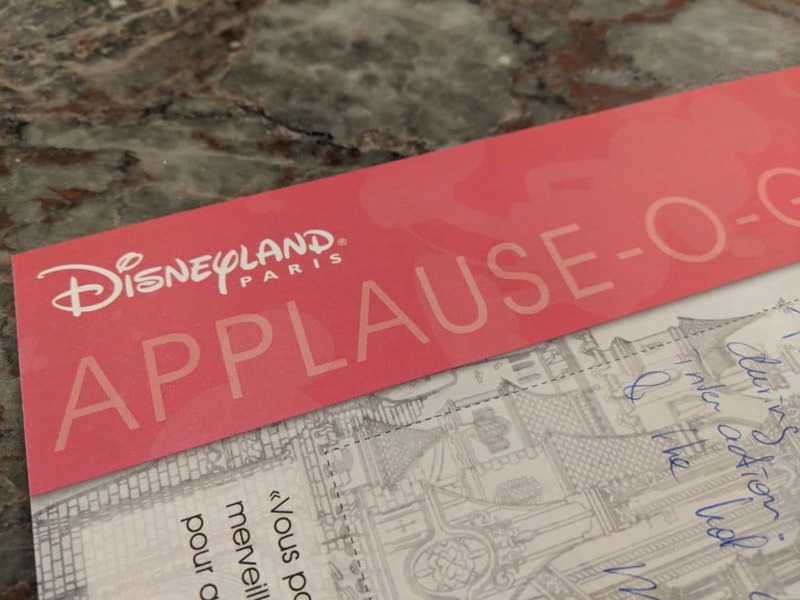 While Disneyland Paris is available on Twitter, they often refer you to Guests Services when you are still at the parks or to an email web form on their website if you want to leave a compliment. So even though you can Tweet them at @EuroDisneyEN (make sure you add #castcompliment to your tweet), we noticed that it is better to either fill in the web form which can be found here or send them a direct email at dlp.guest.communication@disney.com. 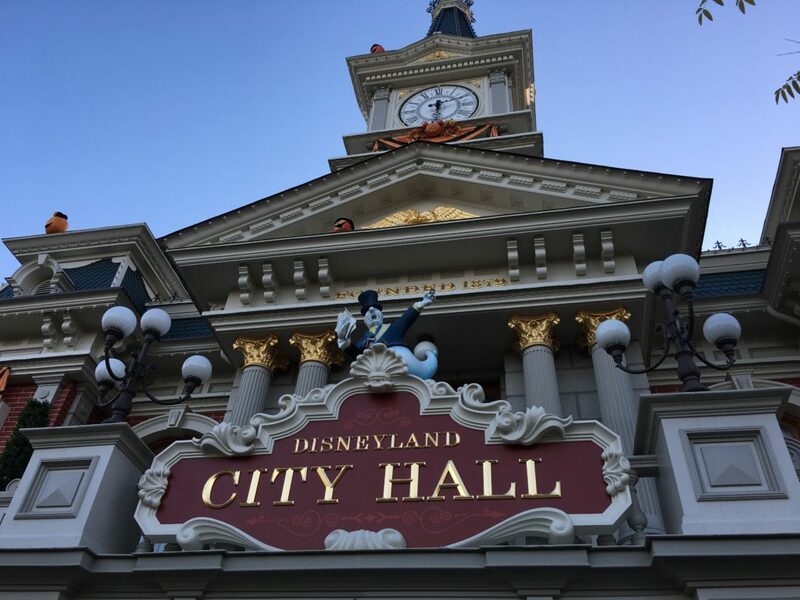 Of course you can also visit City Hall when at the Disneyland Park, or Studio Services which can be found at the Front Lot when you just entered Walt Disney Studios Park. Here you will be present with an Applause-O-Gram to write down your comment. They might ask you whether you have an Annual Pass. We have been told that this is merely for statistical purposes. Same as at Tokyo Disney Resort, almost every Cast Member speaks fluent English, especially the ones at Guest Services. So not speaking French is not an excuse to not to let the management know that a CM did a great job. It is to be noted that often Disneyland Paris’ Guest Services CMs are surprised when you want to leave a Cast Compliment. From what we have heard is that there appears to be more complaining about CMs than leaving compliments. So especially at DLP, your compliment can make a difference. 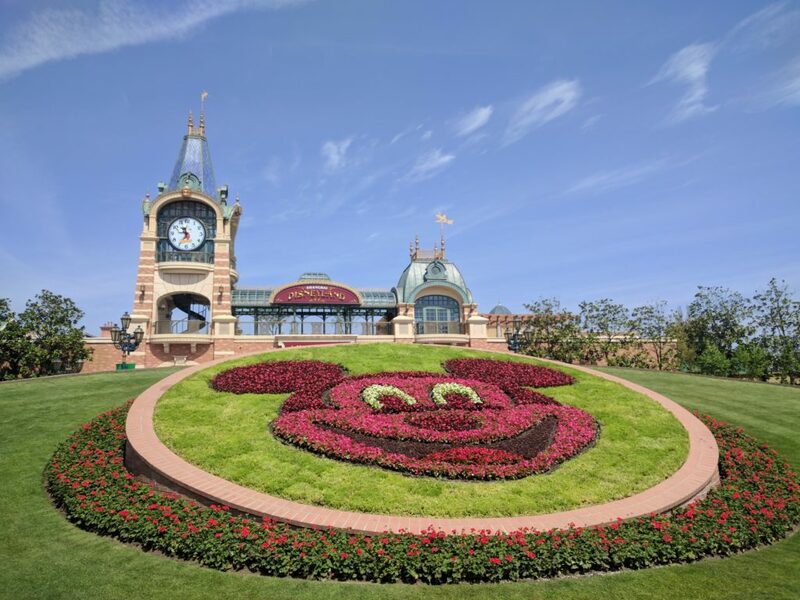 For thanking a Cast Member at Hong Kong Disney Resort you can either send them an email through a webform or you can visit Guest Services at City Hall. Here Cast Members are happy to help you write down your compliment. While at Hong Kong Disneyland the main languages is Cantonese, Cast Members also speak Mandarin and English. When we visited the park, we had no issues communicating with any of the Cast Members. So also here; no excuse! Also at the latest Disney Park to join the family; Shanghai Disneyland you can leave a compliment for a Cast Member. You can do this via an email form or you can visit Guest Services which can be found at the right just after the turnstiles and even before you walk underneath the arches and the Mickey clock. And this is starting to sound like a broken record, but even though the main language is Mandarin, CMs are fluent in English, and if for a rare chance you meet a Cast Member who doesn’t speak English, they will find a CM to assist you. Now there are also other ways to thank a Cast Member. Below you will find a few other ways. Let us know whether there is something you do! Depending on where you eat, tips might be included or not. You as a guest can always make the decision to leave a little something extra. Also for staff outside of the restaurants, you can leave something extra at the end of your trip. There are entire Facebook groups dedicated this; Thank You Notes. Guests, before they arrive, make little Thank You Notes that they will hand out to Cast Members. Often kids join in the fun of making them, and selecting the CMs who deserve a Thank You Note. These Thank You Notes don’t have to be fancy (but can be) as it is the thought that counts. Yes. CMs do get paid to be at a Disney Park. It still doesn’t mean you can mean to them, or refuse to follow rules. Cast Members are there to ensure that everybody’s visit is equally magical, enjoyed but foremost: safe. So listen to them when they ask you to do something, or when they make an announcement. And saying “Thank You” or “Good Morning/Afternoon/Evening” doesn’t cost you a thing, but is appreciated by everybody and will even make you feel warm inside!